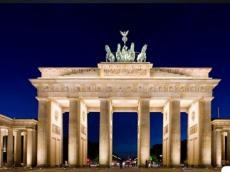 The Fourth Congress of European Azerbaijanis will be held in Berlin on April 29. The Congress leaders are expected to attend European Azerbaijanis Congress (EAC) member organizations, government agencies and the government of Azerbaijan, various societies and associations, other countries’ Diaspora organizations and parliamentarians. Participants and guests of the meeting will evaluate the activities of EAC in the intervening period, the implementation of the urgent issues. The meeting participants will hold discussion on the issues related to the forthcoming development of cooperation between the Azerbaijani Diaspora organizations, new methods and technologies of bringing the truth about the history and socio-political situation of Azerbaijan to the world community. The participants will watch a documentary "Our strength lies in unity". Also there will be a presentation of the book devoted to the 3rd Congress of World Azerbaijanis. It is expected to found an Advisory Council of the Honorary Presidents of the World Azerbaijanis Congress at the meeting. The European Azerbaijanis Congress was established April 17, 2004 at the meeting held in Berlin. The main purpose of the structure is to strengthen ties of Azerbaijanis living in various European countries with their homeland, provide spiritual and political unity and solidarity among the Azerbaijanis of the world, protect their social and civil rights, and jointly protect national and spiritual values. The Congress unites more than 60 Diaspora organizations from 27 European countries.